Just 6 days left to view the limited edition print exhibition by Deb Paton and David Bigwood at the Jindabyne Visitor Centre. 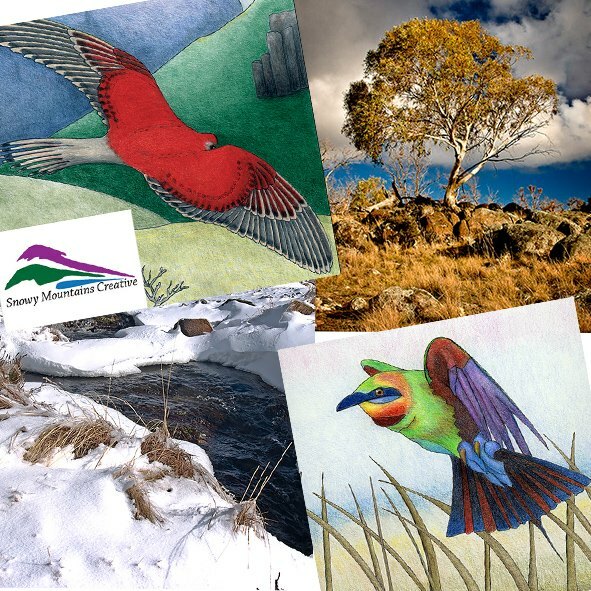 There’s still three weeks left to see the exhibition of limited edition prints by David Bigwood and Deb Paton, sponsored by Snowy Mountains Creative, in the exhibition space at the Jindabyne Visitor Centre. Here are two of the prints each image measuring 42x30cms and matted in frames. 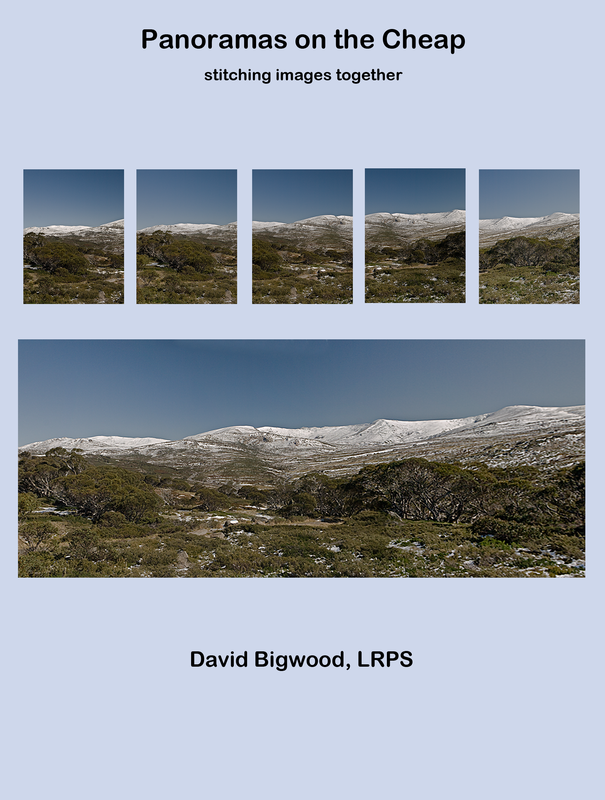 Snowy Mountains Creative invites you to an exhibition of limited edition prints by photographer David Bigwood and graphic artist Deb Paton, at the gallery in the Snowy Region Visitor Centre in Jindabyne. My latest e-book just published at Smashwords. A hankering after being able to create landscape panoramas but without the necessary panoramic camera led me to begin by cropping my medium format transparencies then, when I moved from film to digital, to using Photoshop to stitch a series of images together. In this book I describe the use of both Photoshop and Lightroom. $US1-99. It is formatted for most tablet readers, including Kindle, and also for reading on your computer. A panoramic print (58×20 cms) of the grazing country around Berridale in the Snowy Mountains of Australia available through my website at davidbigwood.zenfolio.com. This picture is also available as a canvas print in the Berridale Art Gallery.